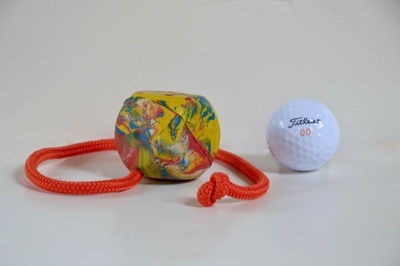 6 cm (2.36 inch) dice shaped ball with 50 cm (19.7 inch) string. 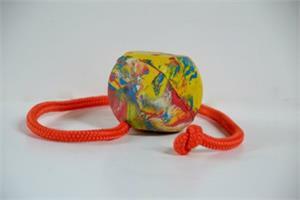 Ball and string color will vary upon availability. Please be advised that the balls are designed for training purposes only and are not chew toys. They do not float and should not be left unattended with you dog. Misuse will not be refunded.